Mother/daughter team Elyse Fitzpatrick and Jessica Thompson will carefully walk you through difficult conversations, one topic at a time. Speaking from personal experience, informed by child development research, these two moms offer practical insights and age-appropriate guidance. Talking about tough topics may not be as hard as you think, and, more important, you'll see how these conversations can lead to meaningful discussions of God's unchanging goodness. 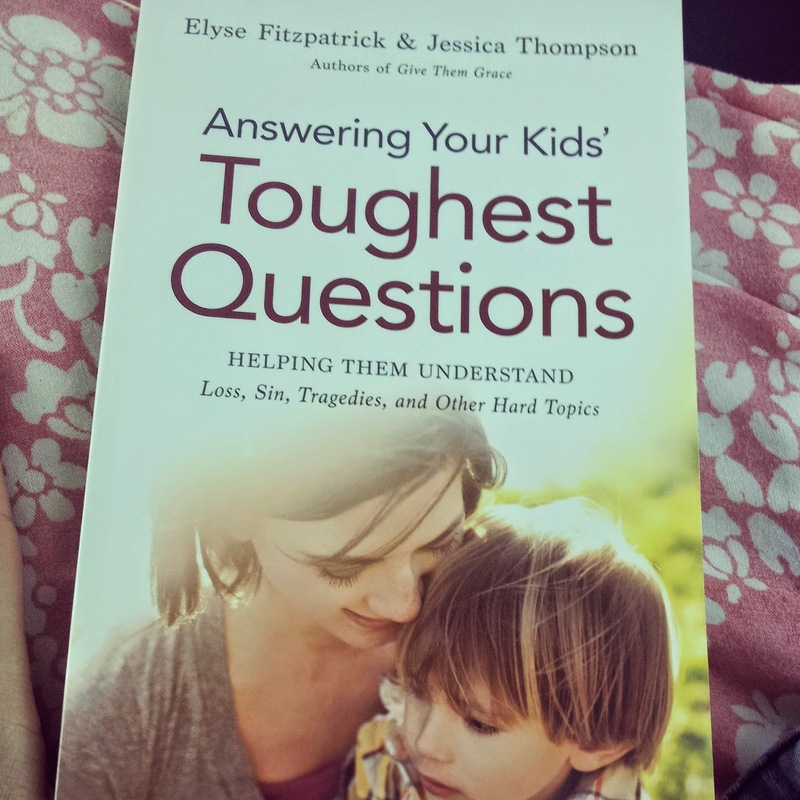 Packed with scripture references and guidance, this book is an excellent resource to have in your hands and on your bookshelf for those times when kids get inquisitive . Not only is this a great book for parents to have on hand, but I think that it would also be a wonderful resource for Sunday School teachers, or even Christian teachers to have on hand. I like that the authors draw on personal experience, and it was fun to read it from the perspective of a mother/daughter writing team. Two thumbs up! I like most of her novels, so I would like to try this one out. This is another author who's books I have, for the most part, enjoyed. So, I would like to read this one! I want to find out what happens in this series! I loved her Mark of the Lion series, so I want to try this one (though, I realize it will be very different!). 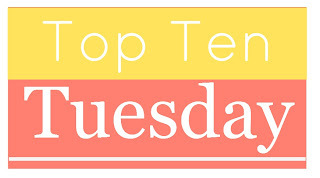 So, what books are on your top ten list? This book is such a beautiful resource! It celebrates the beauty of motherhood and pregnancy with neat 3D images of a baby`s growth each week, web links to ultrasound videos, advise on proper nutrition and the need for different vitamins, and stories from other moms. I enjoyed all of the different categories throughout the book, but I especially liked the stories of different mothers and their experiences. This book also has sections for one to include their own pregnancy experiences. 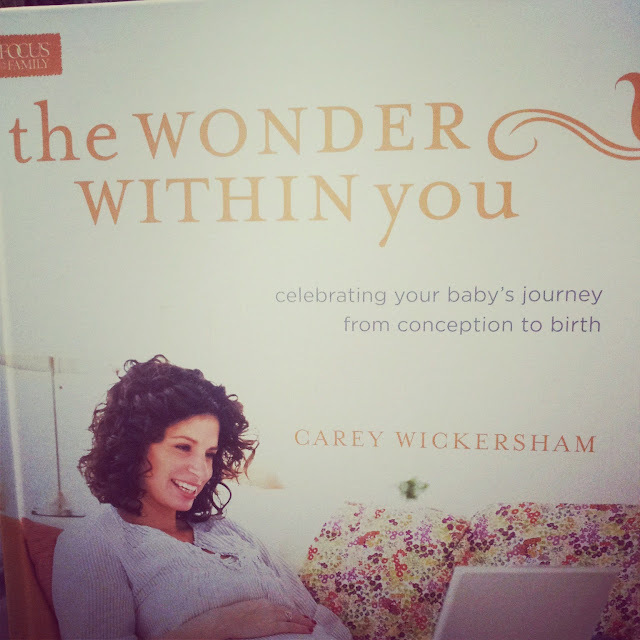 This book would make a beautiful gift to an expecting mother! I received a complimentary copy of this book from Tyndale in exchange for my honest review. All thoughts are my own. Where was this book when I was planning my wedding? lol. I would of loved to have it on hand when I got the bright idea to make my guestbooks, rather than buy them. I could of even come up with a fun and unique way to bind it! 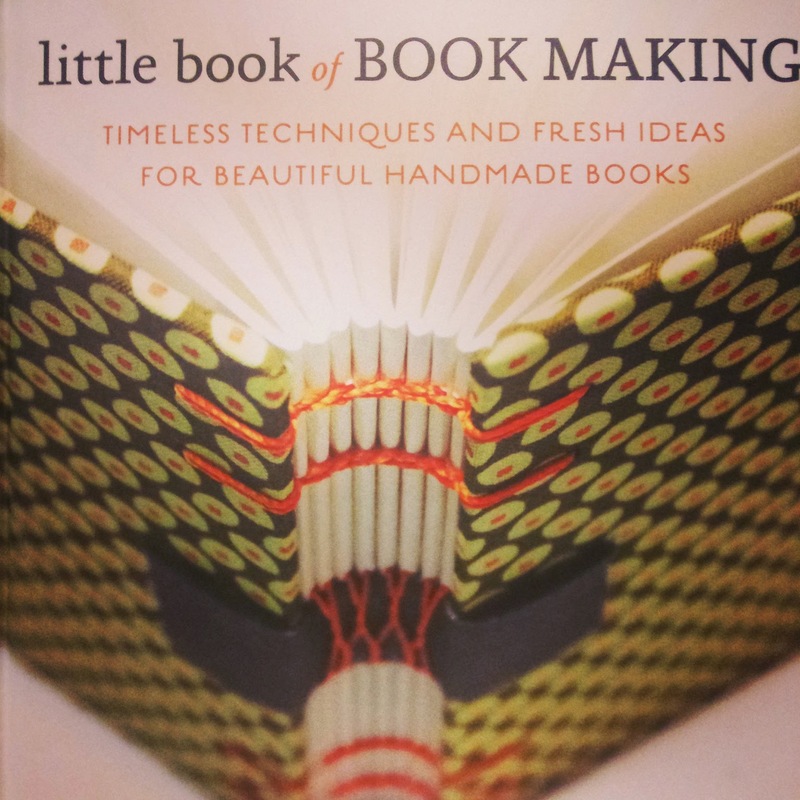 This book is a fun combination of new, intovated ways to make a bpok, backed up with the classic way to go about making books. I love that the first part goes through and shows you different independent bindaries, how they go about making unique vooks. Then, the author equips readers with the knowledge on how to go about making your own books.I love this book! I have read the first two, and liked them, but still haven't finished the series. I keep hearing that I need to though. ;) It just seems like the books can be a tad hard to get into, though they are totally worth it once you do get into it, since there are so many twists and turns in the plot! I probably should pick this series up, at some point. It's hard, I've heard spoilers! I don't know how I missed this one when I was a kid! I actually really want to read this one, before I see the movie. It looks like a fun story! \When the three children next door are abandoned by their mother, Ivy and Nick take them in for the night. 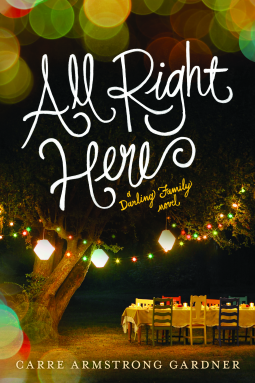 One night becomes several, and suddenly Ivy and Nick find themselves foster parents to the only African-American kids in the town of Copper Cove, Maine. As Ivy grows more attached to the children, Nick refuses to accept their eclectic household as a permanent family. Just as Ivy begins to question whether or not she wants to save her emotionally barren marriage, Nick begins to discover how much Ivy and the children mean to him. But is his change of heart too little, too late? My thoughts: I loved this book! It deals with hard issues, like infertility, abortion, and how hard it can be to keep a marriage going. I like that there is a lot going on, and that the story is from the stand point of quite a few of the characters. The story has a lot of depth to it, which I appreciated. I look forward to reading the rest of the series! I read the first one, and didn't really get into it. I'm debating about watching the movie, though, to see if that will get me into the series and cause me to want to return to the series. I feel like this series had so much potential, and yet, didn't deliver. I read the first book or two in this series. While they were fun and different, I don't know that I will ever finish the series. There are just to many books to read! I tried one, when I was much younger. They just weren't as good as the Dear America books! I read the first book. While it was written well and seeped in history, it was a bit dark for my liking, with all the Druid history. What can I say? I just can't imagine ever being into vampires! This fun book is chock full of fun projects to do as a family or as art projects. I love the different categories! I never thought to put a child`s art work on so many sewing projects! I know there will be a lot of these projects that my little girl and I will make together! I love the idea of making a chalkboard out of cloth or to decorate the hem of a skirt with artwork. This one is fun! Kate Norton Livingston has been competing with Trevor for what seems like her whole life. With high school behind them, you would think that she could put those days behind her. 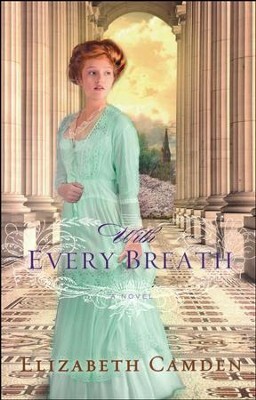 But, when Kate is offered a prestigious job in research, finding a cure for tuberculosis, Trevor is again put into her path. Can Kate set aside old hurts to help those around her? Will she be able to help Trevor find out who is trying to damage his reputation? This novel is loaded with history on a disease that once wrecked havoc on so many people. I found it interesting to read about some of the lengths that were taken to heal people of a disease they didn`t understand. While I did like the characters(I appreciated that the author didn`t make a huge deal about their looks), I have to say, it took me a while to decide I liked Kate. Why? Probably because we are a lot alike. Both bossy, nosy, and have a hard time putting our full trust in God to take care of those we love. So, that wound up being one of the reasons I loved this book so much! Two thumbs up. Your marriage is one of the best investments you could make. It is an investment that can impact those around you. 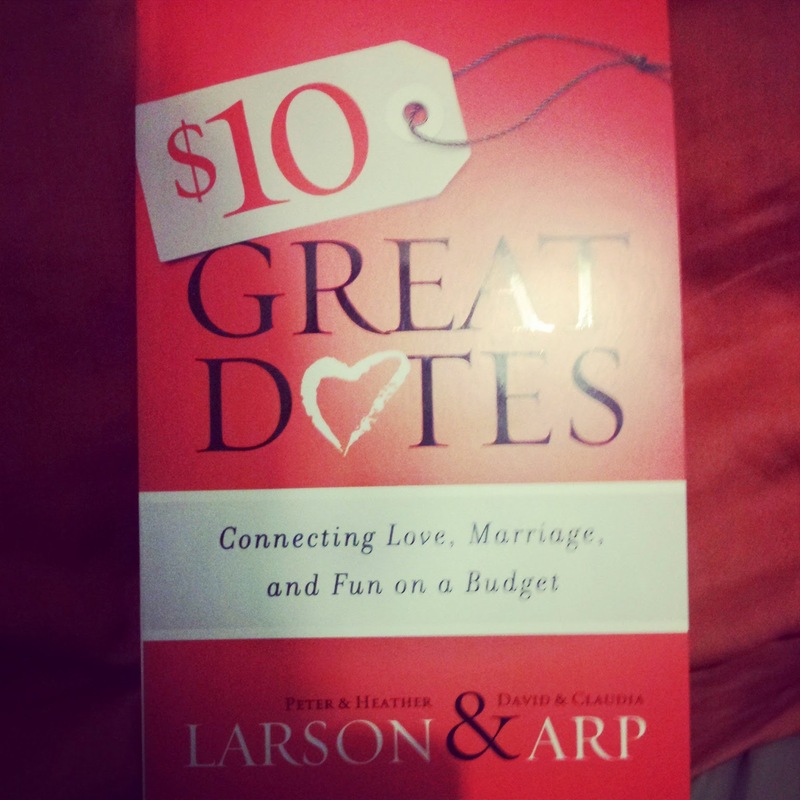 In this handy little book, the Larson`s and Arp`s give their ideas on how to have a meaningful, inexpensive date with uour spouse. 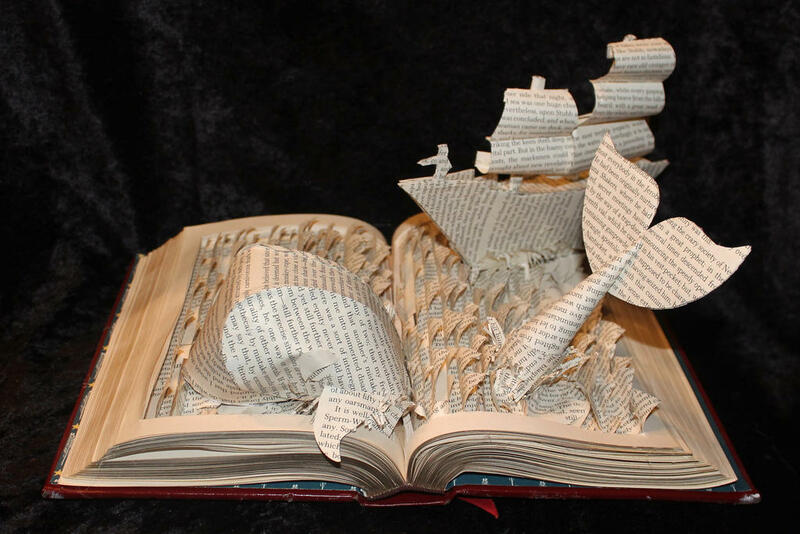 I love how creative this book is! Not only do they provide ideas for settings, they also give ideas for talking points and things to take away from your dates. I look forward to implamenting some of their ideas! Even though I was a reader as a kid, I started this book disliking it. By the end of it, I was a Lewis fan. ;) It is easy to read and the story just grabs a hold of you, sticking with you long after you close the book. Now, this one would have to be for older readers, because of some of the violence. A librarian told me it was quite a hit with younger readers, so I gave it a whirl (this was when it first came out). Oh. My. I couldn't put it down! I remember finishing it over at a friends house, hiding out after everyone had gone to bed, just so I could figure out what happened to Katniss and Peeta in the games. Another book I couldn't put down! I don't think you have to be a fantasy fan to enjoy this one! One of the best books every. I know some people dislike this series, due to the magic, but I like it as a story of good beating out evil, against all the odds. Okay, so perhaps this list is more geared towards young ladies. This book was so clever, and has so many twists to it! I like that the author is not predictable.